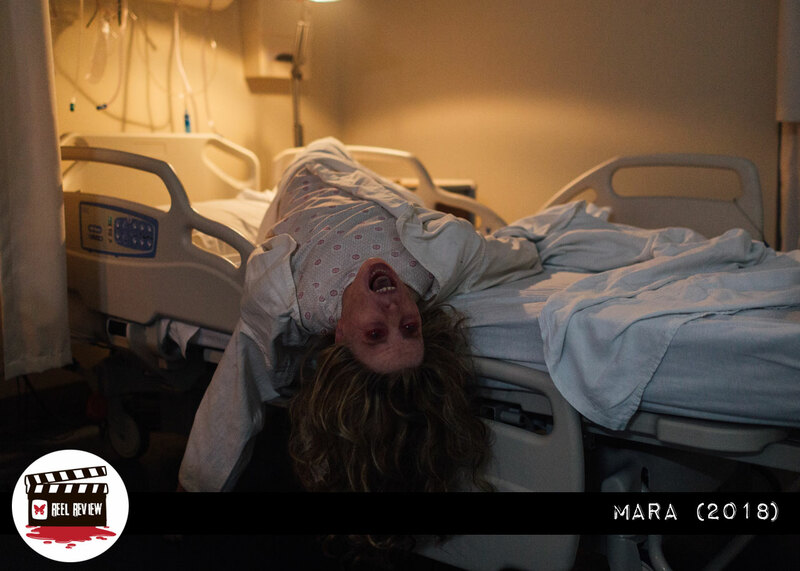 With stellar acting and great cinematography and SFX, “Mara” is a not-to-be-missed horror film that perfectly captures the terror of sleep paralysis. Most of my life I have had nightmares. I know, most of you will say it’s because I watch horror films, but I have had them since way before I was watching anything other than cartoons — which, yeah, can be scary too! I can remember how the nightmares morphed as I got older. The monsters changed, but the gist of the dreams didn’t. Whatever I was afraid of would be hiding nearby, then get closer…FAST. But I couldn’t move. I would be frozen and unable to help myself, call out or even run away. I was experiencing sleep paralysis — a phenomenon where your body is half-asleep and half-awake. You feel like you are lucid but are unable to move your body. It’s terrifying to not be in control of yourself, especially because whatever your worst dream monster manifests as is coming for you…and you can’t do a damn thing about it. So why did I share that story? 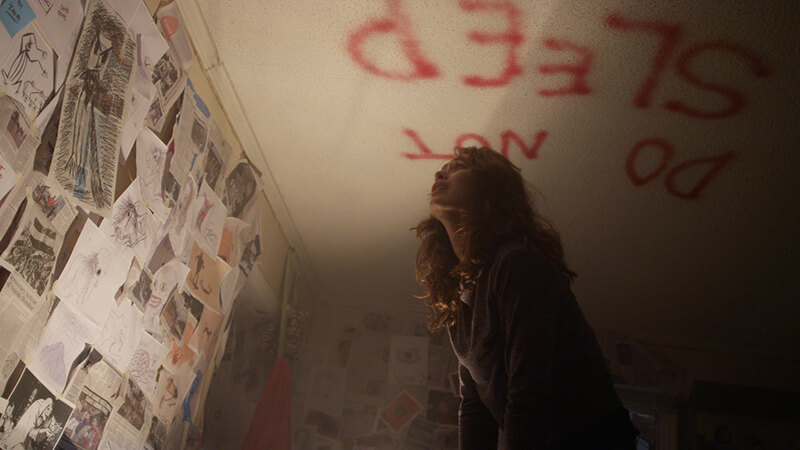 I just had an incredible Déjà vu moment while watching the new horror film Mara, and I realized I was not alone with my crazy and scary nightmare life. As Kate digs deeply into the mystery of an ancient demon who kills people in their sleep, she meets a therapy group full of folks who claim to be tormented by the centuries-old creature. One individual, Dougie (Craig Conway, who I absolutely loved) really convinces her when his prediction to another member, “Do not fall asleep or you will die,” comes true. Kate quickly starts to experience the same paralysis symptoms as the previous victims, and she joins the ranks of souls that the demon Mara has marked for death. Sleeping is not an option, and the hagridden doctor does everything she can to save herself and little Sophie from dying in their sleep. Kate has her work cut out for her. The hardest mystery she must figure out is: Who is Mara and why does she want them dead? In his directorial debut, British filmmaker Clive Tonge was inspired by a terrific script by Jonathan Frank. The film is paced beautifully, and I was never bored. I was always looking around the screen to see where Mara would surface next. 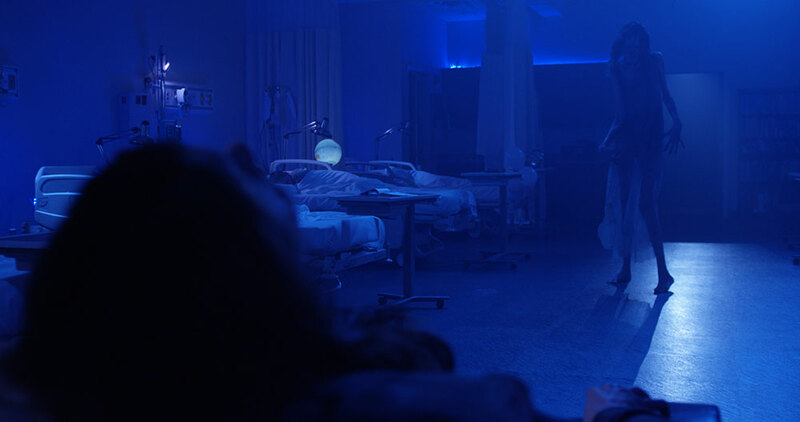 The dream-like film is brought to life by a producer from Insidious and Paranormal Activity, and we learn about the mythology and real-life phenomena of sleep paralysis. In addition to terrific acting by all and a great script, we also get Javier Botet (Slender Man, Insidious: The Last Key, Mama). Horror fans are familiar with Botet, who is afflicted with the genetic disorder, Marfan Syndrome. This disease affects the body’s connective tissue, and he is able to create a memorable and truly terrifyingly twisted monster that could haunt anyone’s dreams. After Mara, you will hope for insomnia! Saban Films will release the upcoming horror / thriller MARA in theaters and On Demand / Digital HD on September 7th, 2018.